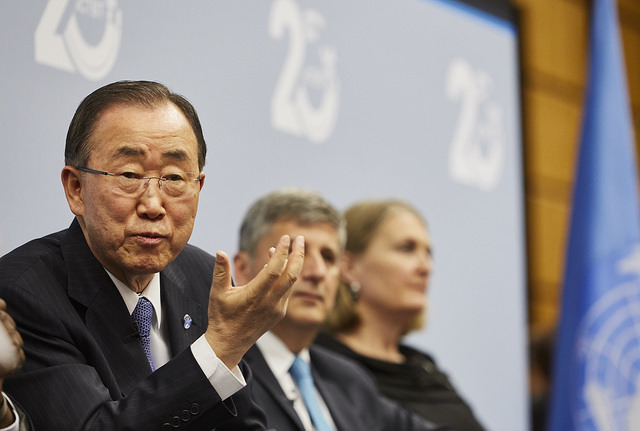 Former United Nations Secretary General Ban Ki-Moon has been proposed as the new chair of the IOC’s Ethics Commission by the IOC Executive Board. The proposal will be put for vote to the September IOC Session in Lima, Peru, with the IOC emphasizing that under the reforms of the Olympic Agenda 2020 the chair of the Ethics Commission and all its members must be elected by the full membership of the IOC. If approved, Ban will replace the current Chair of the Ethics Commission, Youssoupha Ndiaye (former President of the Constitutional Court of Senegal), who is standing down at the end of this IOC Session. Ban was the eighth Secretary-General of the United Nations, from January 2007 to December 2016. When he took office, he committed the UN to the highest standards of ethics, integrity, accountability and transparency. One of Ban’s first actions was to introduce a code of ethics to the organization, which applied to all employees. He is a strong proponent of enhancing the role of sport to address global challenges. He oversaw the inclusion of “sport as an important enabler” in the Sustainable Development Goals, part of the UN’s 2030 Agenda for Sustainable Development. At the IOC Session in Sochi in 2014, he said that “Olympic principles are United Nations principles.” He ran twice with the Olympic torch, at the Olympic Games Rio 2016 and at the Olympic Winter Games Sochi 2014, to demonstrate the unique power of sport as a global force for good.